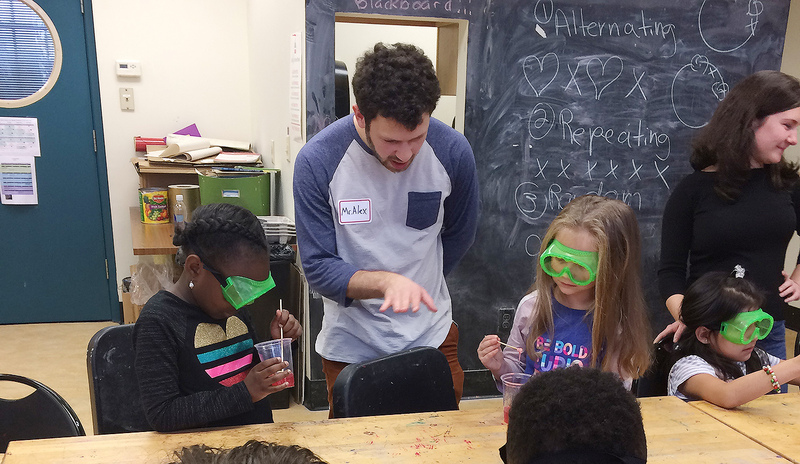 Wesleyan students recently hosted special 1/2 day programs for the Green Street Arts Center AfterSchool students. 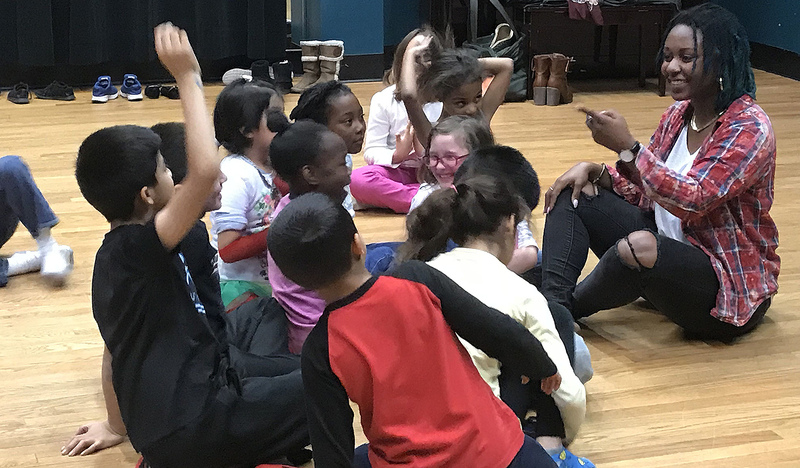 On Nov. 30, Alex Shames ’18 (pictured), Alison Biester ’19, Sojeong Park ’18, Alexa Strauss ’19 and Mikaela Carty ’18, who belong to the Molecular and Biochemistry Department’s undergraduate student group Major Groove, led workshops on DNA. 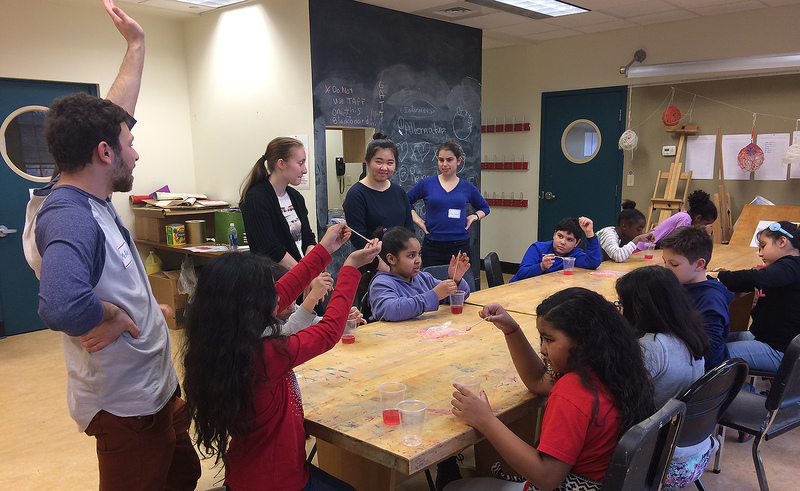 The Wesleyan students taught 1st-5th graders about basic molecular biology and then led them through a hands-on activity where the children extracted DNA from strawberries. 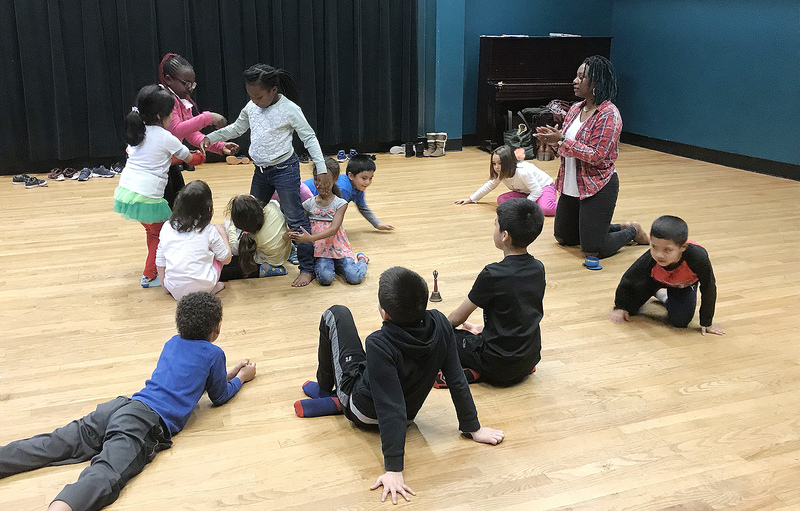 On Nov. 29, Gabe Hurlock ’20 led a self-awareness workshop for children titled Mindfulness in Motion. Hurlock is a Wesleyan Posse Scholar, Patricelli Fellow, and founder of SOPHIA, the Philosophical Association for Women of Color.